We've seen a ton of awesomeness this year in our One Drop family. 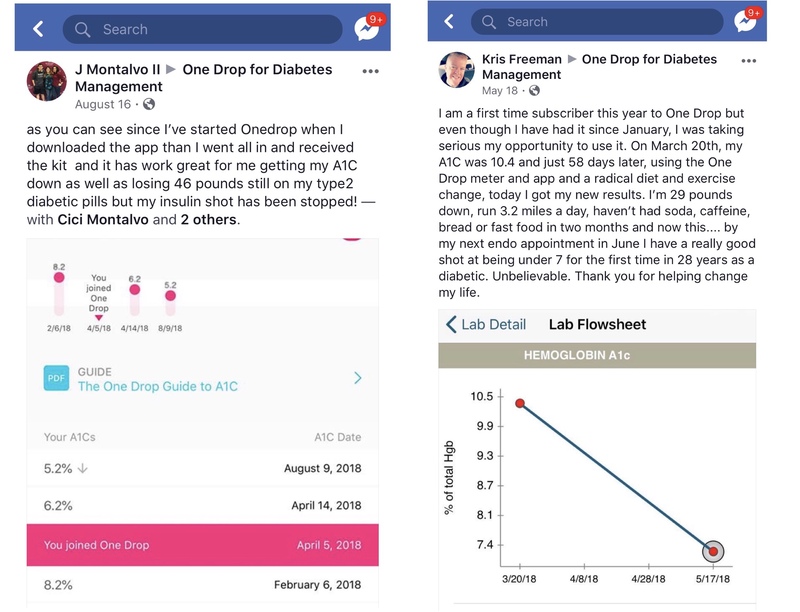 2018 gave us in-app estimated A1c 🔮, a partnership with insulin smartpen gurus Companion Medical, a dedicated Gestational Diabetes Program for expectant moms with diabetes 🤰, the first-ever direct BGM integration with Apple Watch ⌚️, blood glucose automated decision support 🤖, a top-3 spot on the global stage of diabetes apps, One Drop Packages, and One Drop carry cases to choose from, just to name a few. Speaking of being a diabadass (and if you're unfamiliar with the term, read all about it here), it's that very special time of year again where we highlight just a few of our very awesome One Drop family members! Over the next few days in December, we'll be shining the spotlight on those of you not only crushing your diabetes game, but also living your best life while owning your diabadass-ery during the One Drop #12DaysOfDiabadass. This month is all about sharing your awesomeness (diabetes & non) with the world. We are really spreading the wealth, health and good cheer with our greatest offer of the year! 🎅 If you've been waiting to take the One Drop plunge and join our family, this is the time to do it. All during our #12DaysOfDiabadass special, you have the chance to join our family and get 25% off your quarterly charges for an entire year! And, when you do the math, it ends up being three months of your One Drop subscription, totally on us. ❤️ How does that work? ■ When you sign up for a One Drop Diabetes Package, you'll be shipped your supplies every three months, 4 times a year, free shipping always. ■ When you sign up for a Package during the month of December using the code 12DAYS, your 4 charges over the next year receive a 25% discount. With our latest Diabetes Package plans, you'll receive your test strips (the amount you choose) and lancets (only if you want them!) every three months. When you use code 12DAYS for your purchase, 25% off will automatically be applied to every charge on your plan for the next year. 😯 It's our best offer of the year! 🎉 Keep your eyes peeled all this month so you can meet just a few members of the One Drop crew. Then, start your 2019 early (and on the right foot!) by officially joining our family!